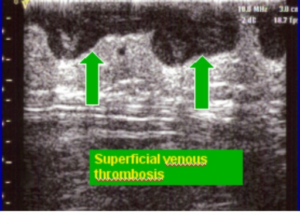 Thrombocytes are responsible for the initial wound closure in the course of primary hemostasis. If there is a deficiency in thrombocytes the system bleeding time is significantly prolonged after an injury. The causes of the condition are many and have a wide spectrum. Regarding differential diagnosis, one has to consider different (malignant) underlying diseases. It is important to memorize the classification scheme for the sake of future medical occupation! Hemolytic uremic syndrome is a complication of different infectious etiologies or can happen as a consequence to certain chemotherapeutics or pregnancy. 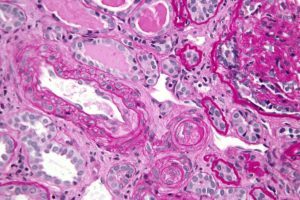 Patients develop acute renal failure, hypertension and thrombotic microangiopathic hemolytic anemia. Diagnostic workup should include kidney function tests, in addition to the confirmation of the presence of E. coli shiga-toxin producing species in stool if possible. Treatment is mainly supportive, but if antibiotics are to be used, azithromycin is the first-line therapy. 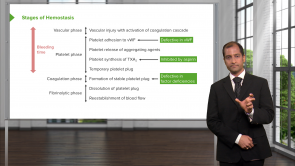 In this article, we will review bleeding disorders caused by vessel wall abnormalities, platelet functional disorders, immune thrombocytopenic purpura, and thrombotic microangiopathies. 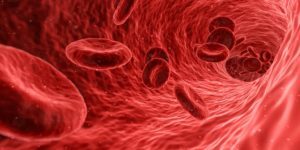 These disorders share two common features – the bleeding disorder is not caused by an abnormality in the clotting factors and they present with bleeding without an effect on the international normalized ratio (INR). 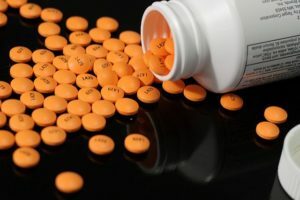 In this article, we are going to review the most commonly used antiplatelet, anticoagulant, and fibrinolytic therapies available to the clinician. Understanding the pharmacology of these three common classes of drugs make it possible for the clinician and surgeon to provide excellent hemostasis control. Coagulation is a dynamic process. The concept of blood coagulation started to emerge in the medical literature in 1960. In that year, Davie, Ratnoff, and Macfarlane published an article that described for the first time a cascade of events that outline the coagulation process. 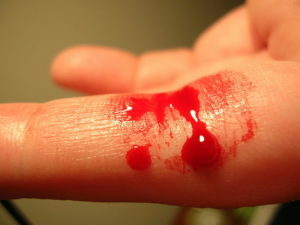 Hemostasis can be defined as the arrest of bleeding. The term derives from two Greek words that mean blood and stop. The process of hemostasis is maintained by complicated interactions between the coagulation and anticoagulation systems in addition to the platelets and blood vessel wall. Please fix the subtitles, it is very important to understand the lecture ! I find this lecture is short, informative and to the point. I appreciate the cues to help me remember important details. Thank you. The image in this lecture is not great to comprehend as its a little too messy. I like how the protein K factors were IDfiable, but the discussion regarding it mentioned warfarin too much... lets focus on the cascades here and the process, and save the drug and protein K processing for the other lecture on those specific subjects. I understand the explanation because he explains it slow and clear, also with very good clinical scenarios. The professor is knowledgeable and able to explain in detail. The information is not fully accurate. e.g. Fibrinogen is not a weak fibrin, it is the unactivated form. Great style, very clear, drawing useful links throughout and summarising regularly Really helpful - thank you! Explanations are fairly detailed yet concise. Also love the jaunty style. Excelente presentación, adecuada para repasar conceptos. Gracias Dr. Carlo Raj, estoy aprendiendo mucho de sus videos, saludos desde Cartagena - Colombia. ACCENT IS NOT CLEAR WHY YOU DO NOT PLACE A SUBTITLE FOR THIS LECTURE ? Very good information,great professor,explanations are excellent. In this course are a lot of repeating,which are helps to memorize. Dr. Raj is very enthusiastic of the topic he is teaching about as well as he keeps asking recall questions during the lecture so that the information remains stuck into your head . His humor makes the viewer love watching or learning from this lecture. Dr. Raj makes Hemodynamics fun to learn. He manages to take all the basics and blend them into a beautiful story. Brilliant teaching method, a joy to learn here. Unusual to be asked questions in lecture to make sure we are paying proper attention. I like it much. There were no quiz questions. Spoke quickly. Good information though.